Capital Bikeshare is shutting down all of its bike stations within the security perimeter for inauguration, the bike service announced Tuesday. Stations inside the perimeter will be shut down starting at noon Wednesday. No one will be able to dock or check out bikes at those stations. The bike service said it's encouraging D.C.-area residents to ride their own bikes to inauguration events and use the District's bike valet for personal bikes at 16th and I streets NW. Capital Bikeshare will also offer corral service from 7 a.m. to 5 p.m. Saturday for those headed to the Women's March. Saturday's corral service will be available at 10th Street and Constitution Avenue NW. The bike service is also warning riders not to leave bikes at closed stations -- it could cost you. 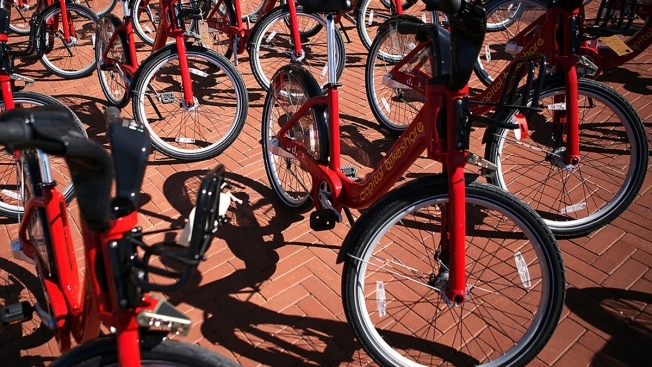 Any bike left at a closed station will be considered still checked out and will continue to be the user's responsibility, Capital Bikeshare said. Anyone who leaves a bike at a closed station may have to pay a lost or stolen bike fee of $1,200. The stations will reopen on a rolling basis Saturday, as the secure perimeter is being removed, Capital Bikeshare said. You can see the complete list of stations affected by the security perimeter online here.